AMI Environmental How Does Formaldehyde Affect LEED Eligibility? How Does Formaldehyde Affect Indoor Air Quality & LEED Eligibility? Everyone loves being greeted by that “new” smell when you walk into a recently built or renovated facility. Ah yes, there’s nothing quite like the sweet scent of…formaldehyde? Not a lot of people know that the characteristic smell of new products, furnishings and other materials comes from formaldehyde, a substance commonly used in the manufacturing, building and home furnishing industries for its preservative and adhesive qualities. In 2011, the United States government designated formaldehyde as a human carcinogen, adding yet another substance to an already long laundry list of environmental concerns for schools and hospital administrators to manage. Designers, engineers and contractors can help school and hospital administrators manage environmental risks in their facilities by helping them choose building materials and furnishings made with limited- or non-formaldehyde-containing adhesives. Many building materials and furnishings contain formaldehyde-emitting adhesives that can threaten the quality of indoor air. This is especially true in newly built or renovated facilities that are equipped with tight building envelopes and waterproofing that limit the flow of air in and out of the building. School and hospital administrators have serious incentives to reduce and eliminate formaldehyde in their facilities because increased levels of this carcinogen in indoor air can be especially harmful to children, the elderly, people with asthma and patients with compromised immune systems. One of the biggest challenges in reducing formaldehyde-associated risks is identifying which products are made with formaldehyde-containing adhesives in the first place. Manufacturing processes used to make many composite building products and wood furnishing make it hard to identify which products have been made using adhesives. 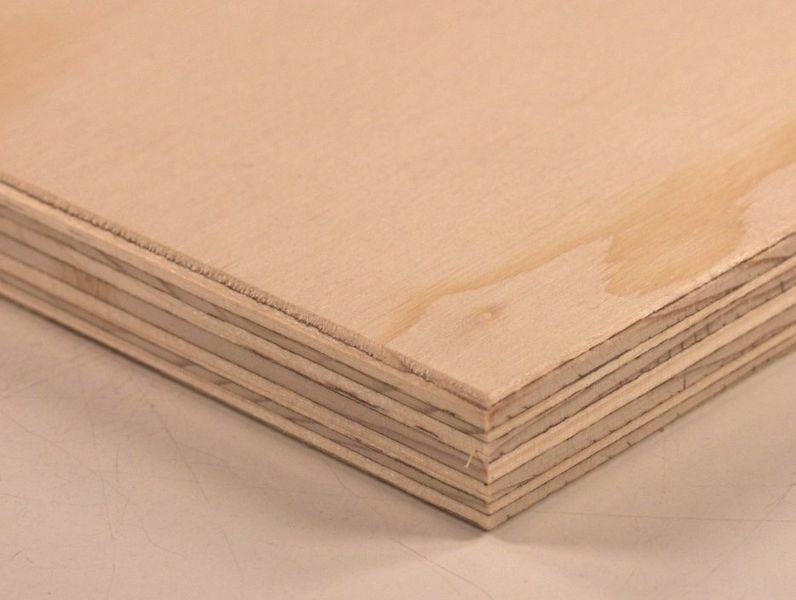 Composite wood materials that commonly contain formaldehyde-based adhesives include: particleboard, plywood, chipboard, fiberboard, door cores, strawboard and wheat board. These materials are often used in the manufacture of doors, cabinets, wall paneling and engineered wood flooring. Unfortunately, formaldehyde-based adhesives aren’t just limited to wood products. They can also be found in foam insulation and laminating adhesives, and well as a preservative in carpeting and paints and coatings. These adhesives are used the most often in the manufacture of building materials and furnishings and are the least costly to produce. Because formaldehyde is added to these adhesives, they emit the most formaldehyde and pose the biggest threat to indoor air quality. These adhesives contain lower levels of formaldehyde than standard UF adhesives. While no formaldehyde is added to NAUF adhesives, they usually still contain phenol or melamine formaldehyde that can be emitted into the indoor environment. Because NAUF adhesives emit less formaldehyde than UF adhesives, they still have the potential to help projects quality for LEED Environmental Quality Credits. These adhesives have the lowest levels of formaldehyde. Products made with NAF Adhesives are often soy-based and can easily be substituted for their formaldehyde-containing counterparts in the manufacturing process. Designers should note that building materials and furnishings made with NAF adhesives currently contribute to LEED Indoor Environmental Quality Credits. These formaldehyde-free adhesives pass all global regulations for formaldehyde emissions. NAF adhesives do fall short in one area: price. However, because the markup in price of the final product is usually less than 10 percent, clients like school and hospital administrators are usually willing to pay a little extra for peace of mind. LEED has banned UF Adhesives under its Low-Emitting Materials credit, so the presence of building materials and furnishings with these adhesives will work against any sustainable design or indoor air quality goals for a project. In fact, use of these adhesives is under scrutiny by regulators both internationally and in the U.S. In general, NAUF adhesives are considered more sustainable than UF adhesives, and even have the potential to work toward some LEED credits. However, a 2013 ruling by the US Green Building Council meant to clarify the qualifications for materials containing melamine formaldehyde adhesives left some people confused about these adhesives’ LEED eligibility. A summary of the ruling can be found here. Furnishings and building materials made with these adhesives are the most sustainable and can earn LEED Indoor Environmental Quality Credits. While they usually cost a little more to make, use of materials made with these adhesives are a must for sustainable design projects, especially those aimed at improving indoor air quality. Are the materials made with NAF adhesives? Are the materials independently certified as a low volatile organic compound? Do the materials meet the California Air Resources Board’s standards for ultra-low emitting formaldehyde? How can you help organizations comply with the standard and fully protect building occupants?